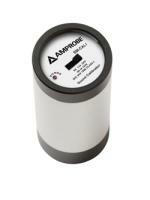 Product Description: The Amprobe SM-CAL1 is a sound meter calibrator with two output levels of 94 dB and 114 dB. The calibrator generates these fixed sound level signals for calibration of sound level meters. The unit ships with a 1/2in adaptor installed to accommodate sound meters and microphones with 1/2 diameter.